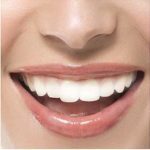 White Dental Fillings Beverly Hills, CA | Smile Angels of Beverly Hills - Bruce Vafa DDS. Tooth decay is a common dental issue that can result in a cavity. If you have a cavity, our Beverly Hills dental fillings expert will need to remove the decayed tissue and fill the now-empty space. This restores the surface of your tooth, its appearance and its function so that you can eat and speak comfortably and keep your teeth clean more easily. Dental fillings can also be used to repair cracked, worn or broken teeth. Our Beverly Hills white fillings expert will begin by using an anesthetic to numb the area around the affected tooth. Once your gums are numb, we will use special tools to remove the decay and prepare the tooth for the filling. We use tooth-colored dental fillings, which are considered more aesthetically pleasing and contain no mercury, which has some health concerns for some patients. Tooth-colored dental fillings are made with composite resin. This putty-like material is applied in thin layers until the filling has been built up to the appropriate level. We then shape the filling to match the natural contours of your tooth, and each layer is cured using a special light. The filling is hardened before you ever leave our office. Our expert in dental fillings in Beverly Hills, in the heart of Los Angeles, polishes the filling to match the luster of your tooth. Once the filling is finished, it will blend seamlessly with your tooth and be virtually indistinguishable from your other teeth. You can use it just like your own teeth, but you may need to wear a night guard if you tend to grind your teeth while you sleep. Other filling materials may also be available, but composite resin fillings offer a strong, long-lasting solution that is more cosmetically appealing than metal fillings. They require no special care but can be brushed and flossed just like your other teeth. 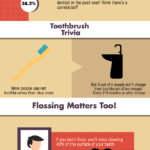 Many people also prefer composite fillings because they use no mercury. 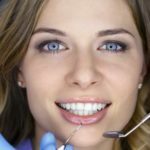 Our expert in white fillings in Beverly Hills, in the heart of Los Angeles, can help you decide if white fillings are right for you. Keeping your teeth healthy and strong requires the right preventative treatments and restorative treatments, such as dental fillings. Contact our office today to learn more or to schedule an appointment with our cosmetic dentist in Beverly Hills.